So tomorrow is move-in day! I can't quite believe it. I've spent the day packing everything away, and it's crazy how much crap I've accumulated over the years. I found gig tickets from 2006, a story I wrote in year 7 (which I was actually quite impressed with), along with my year 11 leavers shirt and so much more. 6 bin bags thrown out later, I feel cleansed. But so many possessions remain... And because our flat is very small - the perks of living city centre - we need to make the most of space. It's made me think of Manhattan apartments, tiny in size yet grandiose in charm, and their storage capabilities. Here's a few Pinterest inspirations (pinspirations??) and others of mine. 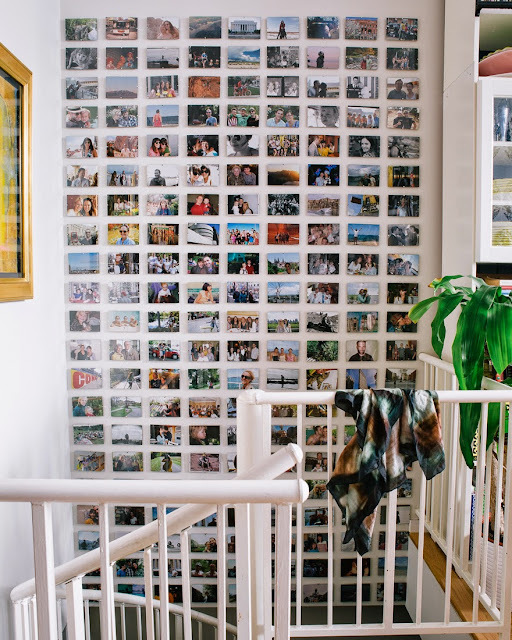 The above pictures come from A Cup of Jo's post on Marci and Dan's dwelling, How great is that photo wall! This flat is storage done smartly. Samantha's Organic Global Love Nest on Pinterest. 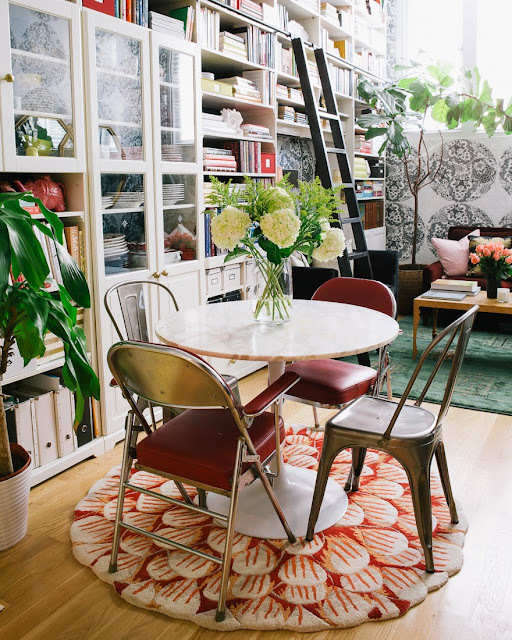 I love this bike hanging on the wall in this Apartment Therapy post. 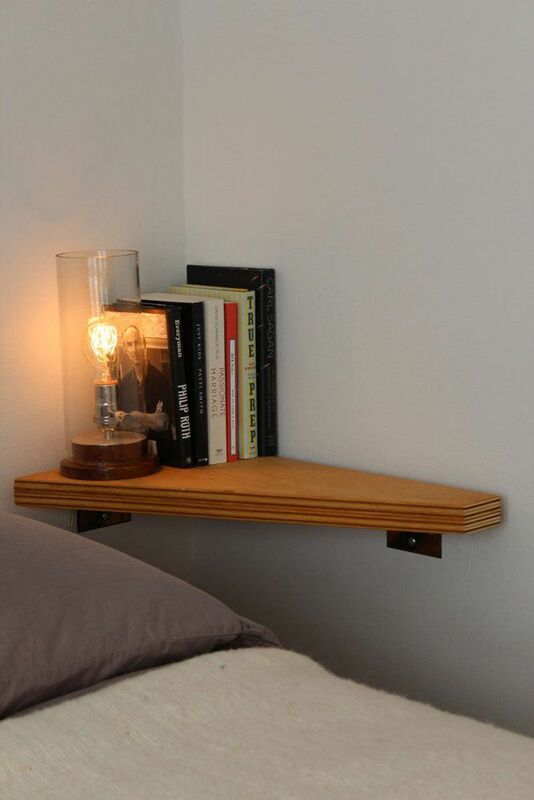 As well as this headboard library - a great idea for fitting more books into your tiny room. 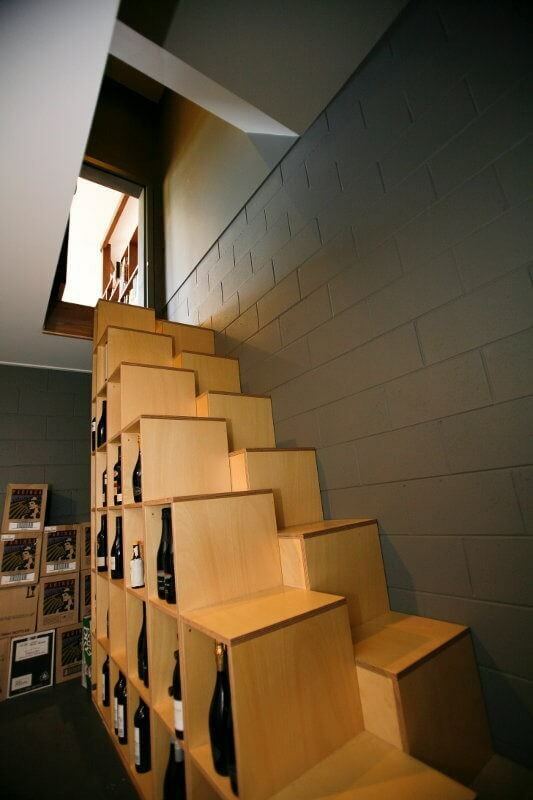 ALSO, not that we have the option for this, but how amazing is this wine rack/ stairs combo on Apartment Geeks? These pictures have definitely inspired me (*cough* pass the shiraz *cough*). I have to say, though, I'm thankful I'm not on an NYC budget. 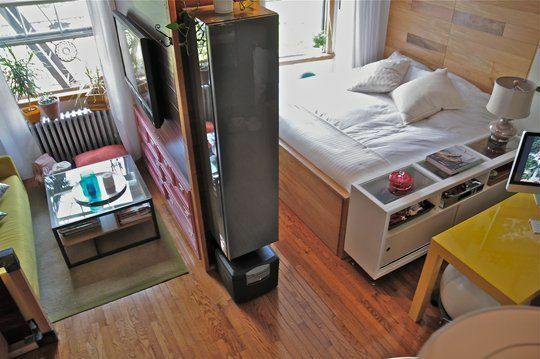 I know our flat is pretty teeny but at least it's not THIS small... Have a look at this microdwelling . 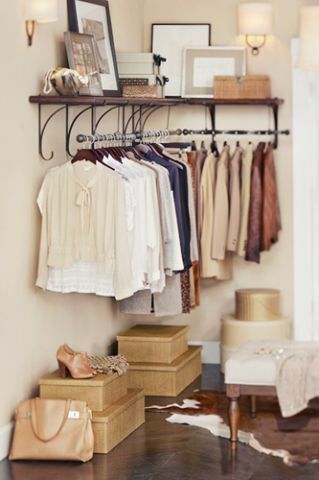 . .
All great ways to conserve space. I could post a zillion ideas, but I need to crack on with my packing. Wish me luck for my moving! I'll post again with photos, I'm sure.